Select to Read My Poetry » Poets sites being picked 3... Poets sites being picked 2 ... Poets sites being picked... Tip: Setting Up Your Homepage With The New Editor Tip: Changing Your Site Name / Poetry ID Tip: Uploading your image/photo on your homepage New Editor Tips For PPP Poetry Prime Poets Why Become a Poetry Prime Poet? Come on…grab a cup of coffee and go visit some of your fellow poets. Leave a feedback…who knows you could be making someone’s day! Think of a feedback as giving a smile. When someone smiles, smile back. Poets sites being picked every week from the last 100 poems and Meet the Poets. Go ahead check them out! 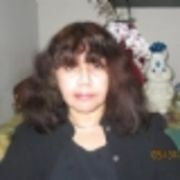 Check out the last 100 poems and Meet the Poets,this allows you to see the active poetry members. 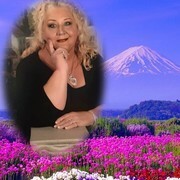 • Go to the "Last 100 Poems"or "Meet The Poets" section to see who is active on PoetryPoem.com. You can get to it on PoetryPoem.com's homepage by clicking on the "Poems" or "Poets" button. You can get to the Last 100 Poems from the red bar on your homepage by clicking on the "Last 100 Poems" link. This allows you to see the active poetry members. • Go to the Message Center and leave a message. 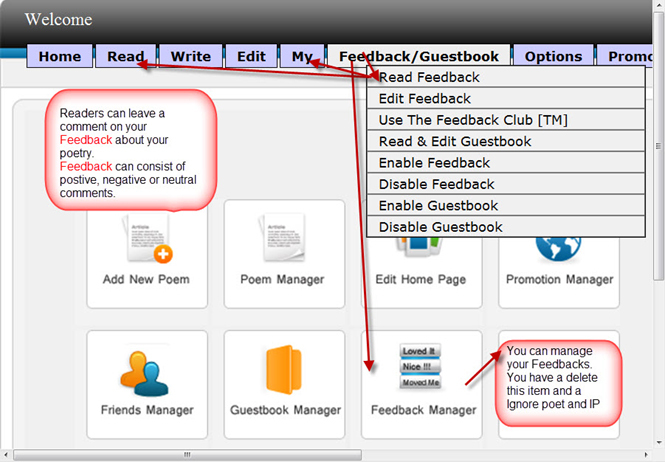 Let your fellow poets know you are interested in receiving feedback. The Message Center can be found at the bottom of PoetryPoem.com's homepage. At the bottom of the page is a gold box that says " ". You can also get there on your control panel. The button is located at the top of the page, it says Message Center.